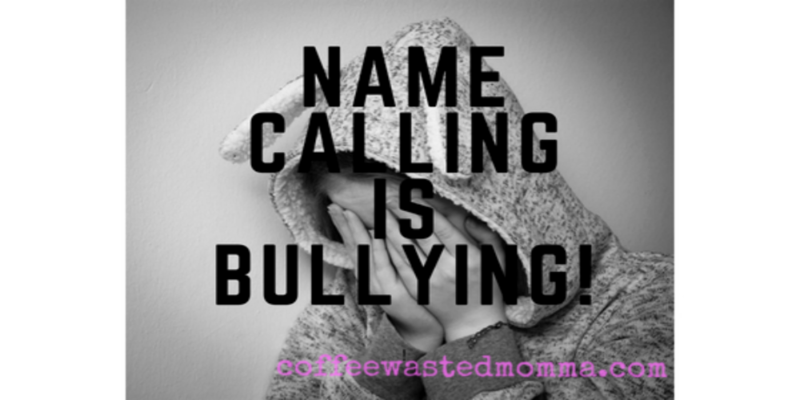 CoffeeWastedMomma: Stop the Bullying! 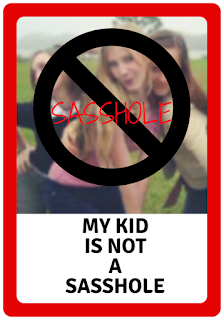 My kid is NOT a sasshole! 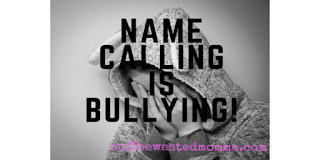 Did you know that name calling IS bullying? I am one to rarely say that I HATE something. Sure, there are tons of parents that do or say something that irritates me. BUT, this one phrase, name, whatever you want to call it, I absolutely HATE! Why? Just why does anyone think this is cute or appropriate? This isn't calling your daughter Mini me or Boo Boo. 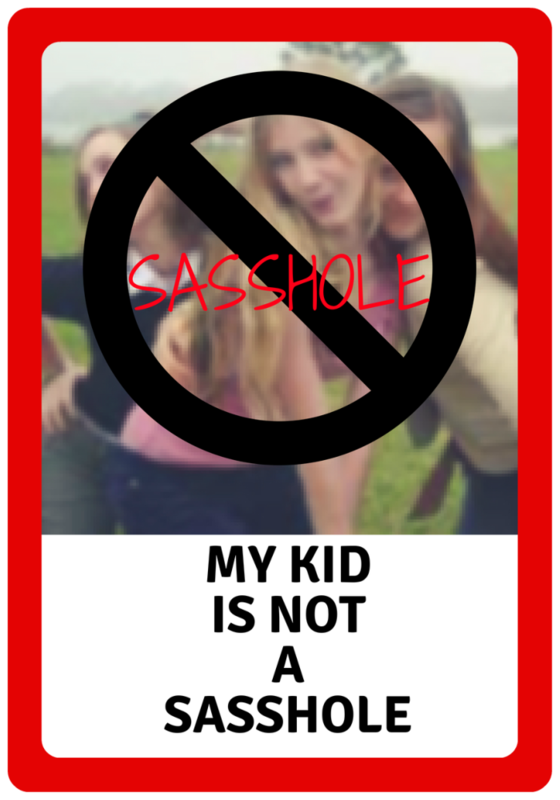 This is labeling your child negatively! And before you say "Oh, it's just a nickname between us." or "I only say it around close family." Wrong! We all see your Facebook, IG, Twitter...We see you with the "Sasshole" T-shirt! We see and we know. It is every where. You're spewing it all over social media. And, maybe...maybe you really did start it innocently. Maybe it was the catchy phrase that you heard and followed trend. My sympathies for your ignorance. YOU are being a bully. YOU are the one labeling them. YOU are the one causing damage to them. YOU are the one showing them that it is ok to be called derogatory names and to be mentally abused! There have been several articles and studies done on this. This one: Why Name Calling is a Big No-No! it is a quick but powerful read. Also 9 Consequences of Name Calling is a great article. Do you remember being called names? The weird one. The fat one. The poor kid. The dumba**. How did that impact you then and now? Still today? Get a little tense being reminded of those names? Sure you do! It hurt! I bet it would really make that Mama Bear growl if she found out someone called HER baby any of those names! So, WHY are you doing it to them???? You are sending them mixed messages! "Don't let anyone EVER call you names or make fun of you!" Now, in 10/15 years when little Timmy grows up and moves in on your little sasshole, She is all willing to hear any hurtful names he calls her because,... you did. Her loving parent who only wishes the best for her.She is now in a mentally abusive relationship...because it's just words; just a name. Be a better example. Practice what you preach! And stop name calling your children! We are the first to set an impression and example for our children! Do it wisely! "Three things that never come back. The spent arrow, the lost opportunity, the spoken word." This is such a great point! When my kids were little I mever let people call them "chunky." I always daw this as bullying.